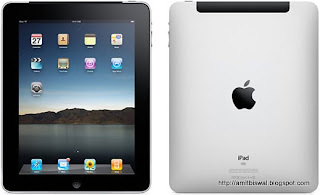 How to Disable Automatic Sync of iPad with iTunes? computer or laptop, you might have seen that iPad starts syncing with the iTunes. Well as we have discussed in last post, that unnecessary applications seems to use excessive power to some extent and if you are using iPad on battery mode, then surely you may run out of your battery soon. Not only power efficiency is affected but this also results in distraction that whenever we want to do some important task while the iPad is connected with the computer, then that sync starts creating a disturbance. Well we can simply disable this automatic sync feature by following the steps as given below. 1. Start the iTunes application. 2. Locate the “iTunes option” and select that to get started with settings. 3. Now you will find an option called “preferences”, click on it. 4. Under Preferences you can find a number of tabs including “Devices” tab. Select the “Devices” tab, where you will find a number of checkbox options related to sync feature. If you are using windows operating system then you might consider changing the step 2, that is instead of iTunes options click on “edit”. Rest procedures are same as mentioned above. Now you can use your iPad without syncing with any devices when connected to it.